WARRIOR FLOW COMBATIVES provides customized self-defense training to people from beginners to those with advanced skills. As a retired Marine Corps veteran with 28 years’ experience including tours to Iraq and Afghanistan. I hold a 7th Degree Black Belt in Guided Chaos and a 7th Degree Black Belt in Combatives and affiliated with the International Combat Martial Arts Federation (ICMAF). With nearly 40-years of martial arts training, teaching and military experience, I have developed a system of fighting that can help you attain the results you want in a relatively short period of time, not years. Unlike the vast majority of martial arts/self-defense programs that only teach techniques. The Warrior Flow Program teaches people through a modality of training and combative movement exercises to fight within the body they already have, making them better. My personal philosophy toward self-defense is as Thucydides once said that, "All men are basically the same..." In other words, the qualitative difference between one man or another is not in how big or strong they are, but how "WELL TRAINED" they are. You see, it's not a matter of whether you're so-called "tough", you're either trained or you're not and, "competence breeds confidence..." Period. Friend, regardless of who you are, we all have an "inherent right" to protect ourselves and our loved ones and no one has the right to threaten you or your family and when they do they have crossed the proverbial "Rubicon", the point of no return. If you're ready to take the leap of faith and go to the next level of skill and ability, WARRIOR FLOW COMBATIVES is for you. The only question now is what do you want to do? 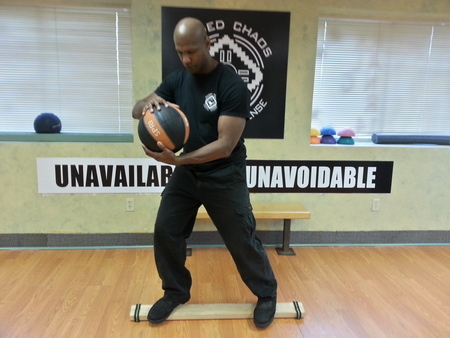 Everything about Warrior Flow Combatives is grounded in reality and common sense. I am learning to move naturally and comfortably to evade attacks while simultaneously delivering counterattacks. There are no Karate forms imitating martial positions which do not work for my body. If you want to learn martial arts, this stuff is the real sh--. The concepts and principles are light years ahead of anything else out there. I have taken lessons for years. The lessons has increased my ability both physicaly and mentally. Trust me, it will be the same for you. Al's ability to integrate how he explains things, demonstrates them and then builds the ability to to replicate what he's demonstrated makes the learning experience super efficient and very effective. No B.S. lessons from Master teachers, lots of personal attention and no one ego tripping. Styled to individual needs. Succinct with words and hands-on training. Explains the "WHYS" of the method. Exceptional teacher very professional. Most self-defense programs focus on teaching people "tools" or "techniques" such as punches, blocks, and kicks, however, they fall short because they are putting the cart before the horse and that is focusing on teaching "things" and not on developing people in "the body". The WARRIOR FLOW COMBATIVES program develops you from the very first day how to move better in the body as well as teach you how to strike. I can teach basic strikes in less than an hour so that's the easy part. The real works is helping you move better in the body so that you can move and fight effectively because let's face it that's what you really want to know. 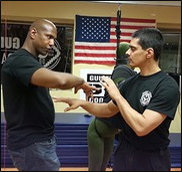 The first stage is teaching you how to move better in the body through a series of combative movement exercises that combine balance and coordination development, striking skills and awareness training, but not the typical awareness training that you'll find in the vast majority of combatives programs that make people paranoid instead of "empowered". Former Marine Corps Officer with 28 years of service: Combat veteran, former Infantry Officer, Operations Officer, Company Commander, Sniper Platoon Commander, Intelligence Officer, Security Manager and Anti-Terror / Force Protection Officer. Martial Arts Master Instructor with nearly "four decades" training and experience in the Martial Arts as a practitioner and Instructor. Co-Author of "How to Fight for Your Life" (June, 2010). Recognized as a self-defense expert worldwide and highly sought out for seminars, workshops, lectures, and special individualized training. Pricing varies depending on a person's needs. I began teaching basic hand-to-hand combat when I was in the Marine Corps to Marines in my unit, and then later on in the art of Guided Chaos rising to the rank of Senior Master Instructor. Over the years I've trained people from all walks of life and different levels of skill. I've trained men, women, children, and people of advanced age. I've trained doctors, lawyers, businessmen, professional athletes, and housewives. Successfully trained numerous people in the military from all branches and law enforcement from Federal, State, and Local Law Enforcement Agencies. 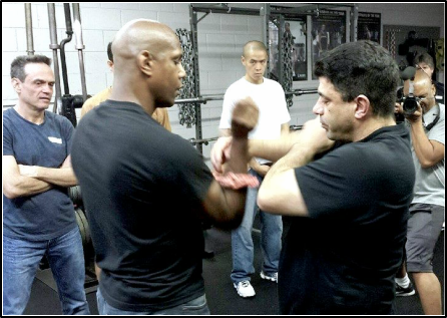 I've trained people from various martial arts disciplines from beginners to master level practitioners of their arts throughout the United States and in various countries such as the UK, Australia, the Netherlands. In short, I train "people" to make them better and more confident in their ability to protect themselves and their loved ones. Recently completed workshops in San Franciso and Philidelphia on the body movement necessary to stop an attacker in their tracks by using the body more efficiently. I will be traveling to Sao Paulo, Brazil this summer to conduct the first-ever seminar there. An instructor needs to be focused on training people to "win the fight"! Period. Training people to just merely "survive" a confrontation is like playing the game for a tie, heck victims of attacks "survive". In my view, if you're training people to survive all you're doing is setting people up to become victims. You see, in a real confrontation, anything you do "especially doing nothing" could end in disaster. If you want to have the best chance of coming out the other side with a positive outcome you have to "fight to win" there is nothing else. To lose could be your life or that of your loved ones. So fight! When I train people there is no ambiguity about it that I am training them to be able to fight for their lives and win. Let's face it you can be doing everything in your power to avoid a confrontation and the fight still comes to you. The reality is sometimes you just have to fight and that's all there is to it. While I emphasize awareness skills, I don't train people to avoid confrontations "per se", but to fight if they have too. In other words, I don't train people to look for trouble but to be able to deal with it effectively if it comes to them. "Do I want to compete or do I want to learn to fight for real should I have a real confrontation?" If it's for "sport" or "competition" then they should probably go elsewhere. I only teach serious minded people who want to learn how to protect themselves and their loved ones. "What does your system emphasize?" "How do you go about developing a person's body to move better?" "How long does it generally take for a person to develop the most basic skills of your system?"